Open air night shows are really something unique if done right as you get to play with the elements of light and especially for Sentosa, the element of water can also come into play due to its island nature. Yet the challenge would be to blend everything in at the right amount and still keep the audience entertained while not giving a cheesy after taste. Well that seems to be the goal of Wings of Time, Sentosa’s latest signature night extravaganza which is all set to excite, move and bring audiences, and their imaginations, on a magical journey of majestic proportions. The world’s only permanent night show set in the sea welcomed a near-full house crowd on its first weekend tonight, since its curtains raised on 17 June. 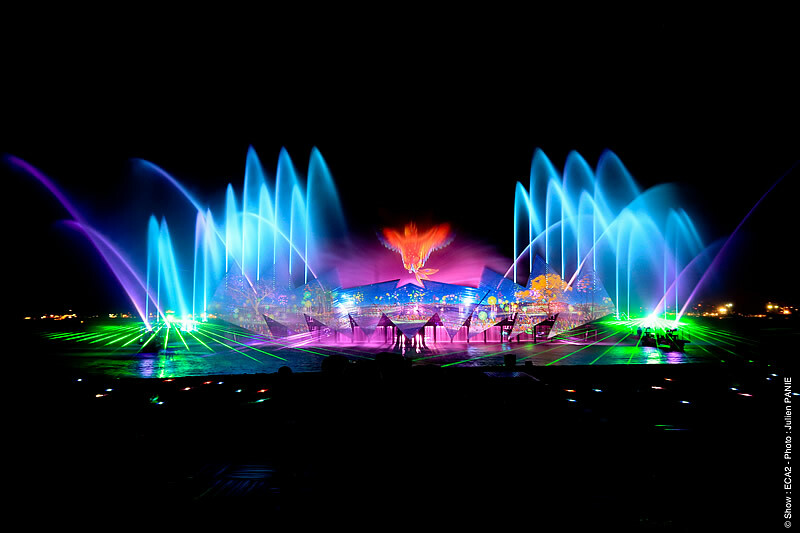 Combining state-of-the-art effects with contemporary story-telling and audience engagement, Wings of Time aims to offer a high-value unique entertainment experience for local and overseas guests daily. Wings of Time redefines conventional rules of story-telling with a poetic take to a tale of friendship and courage. The story of two teenagers, Rachel and Felix, who help a bird-like creature, Shahbaz, find its way home, comes to life through an experiential fusion of multimedia effects, a catchy music score, and live talent performances. Audiences will join the trio as they leave modern Singapore on a breathtaking adventure through several panoramic vistas – from the Industrial Revolution and the Silk Road eras, to the African Savannah and underwater depths. A spectacular finale awaits as they arrive at a magical garden at “the beginning of time”. “We want the audience to be immersed in a world where their imagination can literally take flight, from the moment the lights go on. From the artistic treatment of the landscapes to the intensity of the characters’ challenging moments, Wings of Time offers a unique experience for each guest to sing, feel and let their minds wander with the characters,” said Sam Lee, Director, Island Business, Sentosa Leisure Management. Developed as part of Sentosa’s on-going efforts to refresh its attractions, Wings of Time is a creative and technical marvel. 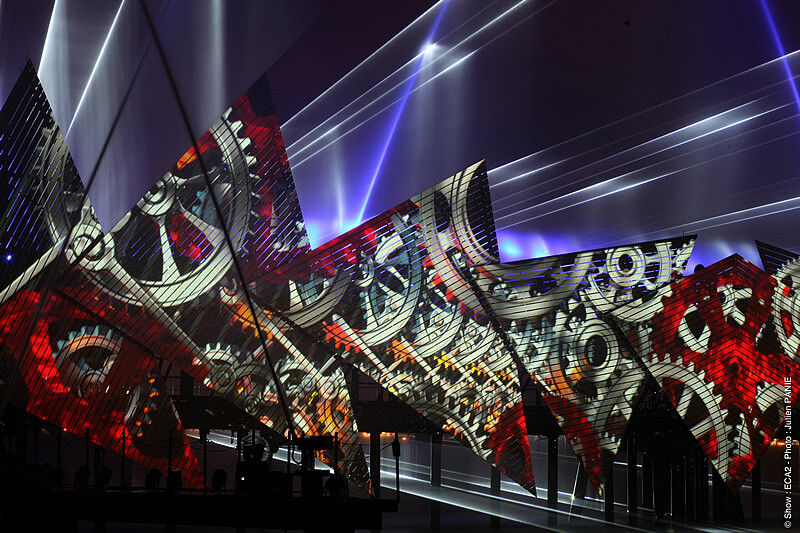 Wings of Time has been brought together over two years by a team of 150 professionals to conceptualize and develop the multi-sensory experience. 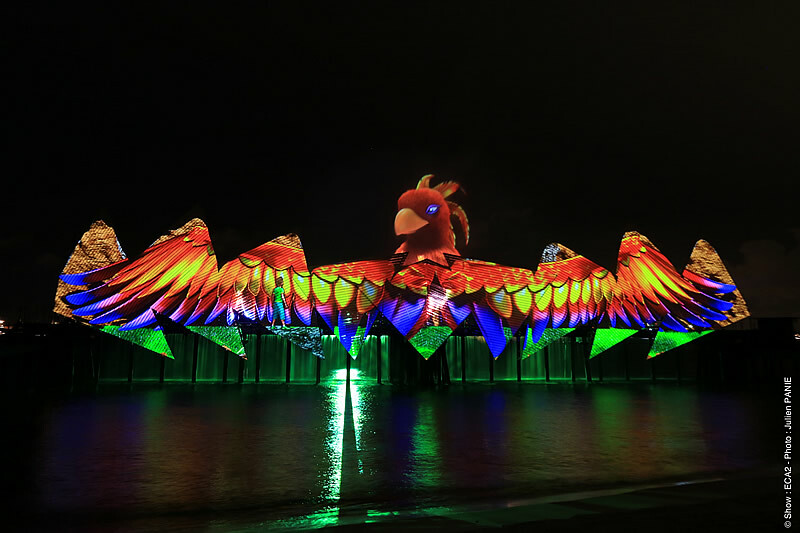 The latest of Sentosa’s iconic night attractions, Wings of Time follows the success of Sentosa’s musical fountains as well as its recent Songs of the Sea show, which ended after a seven-year run of over 5,000 shows. It is curated by Sentosa, and produced by ECA2, an established French events company which developed high-profile international shows. “Wings of Time is Singapore’s very own night spectacular that offers something for everyone. Locals can enjoy this world-class unique entertainment experience right at home with their loved ones. For discerning travellers, Wings of Time will offer an awe-inspiring highlight to their stay in Singapore,” added Sam. So, the question would be, is it really worth the trip down to Sentosa and not forgetting the entry fee to watch Wings of Time? Well I would say yes, but only if you already have plans to head down to Sentosa or you have other attractions that you want to visit as well. Don’t get me wrong, the whole show amazing and it didn’t feel one bit draggy or overly cliché. Just that due to its late timing (which can’t be helped due to the show making use of the nigh element), it would serve better as that delicious dessert to round up a good meal just before you head back to mainland Singapore after a fun filled day at Sentosa. Wings of Time is a ticketed performance, with daily shows at 7.40pm and 8.40pm along Siloso Beach. Premium seats are available at S$23 per person, while standard seats are at S$18 (standard rate), and S$15 (for local residents). Tickets can be purchased online at www.wingsoftime.com.sg or on site at the ticketing counters. For more information on Sentosa, please visit www.sentosa.com.sg or call 1800-SENTOSA (736 8672).